Our own WARMroof solution continues to evolve, we were the first solid roof manufacturer to offer a fully insulated eaves section, a point at which not all solid roofs can boast the same design feature. Our system is a true warm roof, meaning it will never suffer cold bridging or condensation issues and with dew points evident for around 8 months of the year in the UK, there’s a long-term risk of roof failures if they aren’t fully insulated. 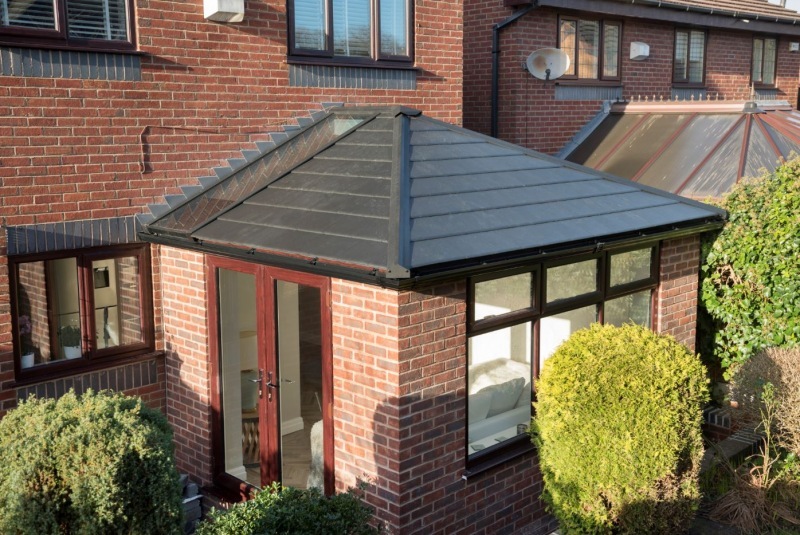 Our Hybrid roof was the first of its’ kind on the market, it features a large thermal break to prevent condensation around the glass / plaster interface. Trade partners are increasingly asking about not only roof specifications, but structural requirements for spanning openings for sliding doors or bifolds. At Prefix we get involved with the installers at the front end so they can look to offer homeowners a full solution that’s backed with a robust warranty and the confidence in dealing with a highly reputable manufacturer. WARMroof is available with a number of roof tile options, it’s even structurally tested to accept traditional house tiles or slate. We are keen to provide consumers with choice and not just accept what works best for us, after all it’s their home and some consumers require an option that better replicate those of the main fabric of the house. With this in mind we can now offer the Tapco roofing tile as an option instead of our current lightweight tile for both our standard WARMroof and also our glazed hybrid version. WARMroof hybrid is starting to generate considerable sales momentum as we complete more jobs and share in the beautiful photography for each case study. The addition of a large glazed area from eaves to ridge provides considerable space for light to cascade into any room, yet with the feeling of the permanence for what is in effect a single storey extension. 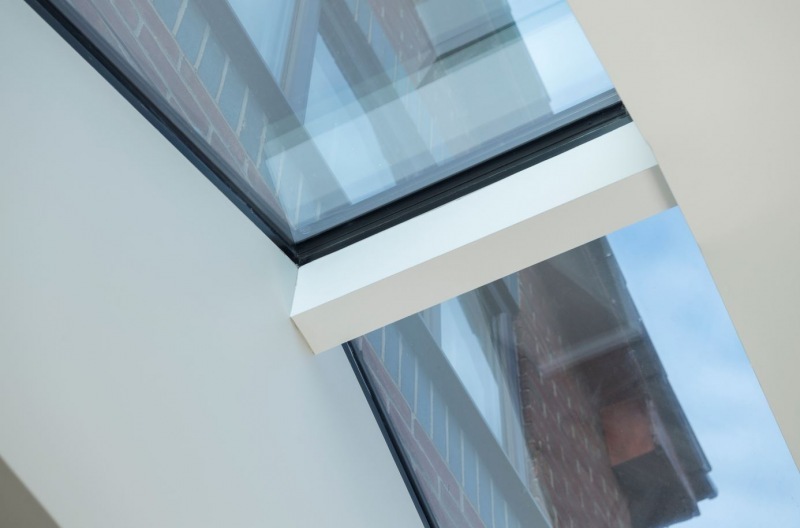 An increase in the use of glass is likely to continue as a trend in 2019 and with the performance of a triple glazed unit with an easy clean coating, it’s also a high specification option. To complement this, we’ve also launched a plasterboard finish to the internal reveal of the glazed unit, so homeowners can paint the complete roof up to the glazed frame, while the Opus hardwood cladding will remain an option. For homeowners and the trade, we’re able to offer these design options to satisfy the need for more choice and to ultimately create a bespoke solution. 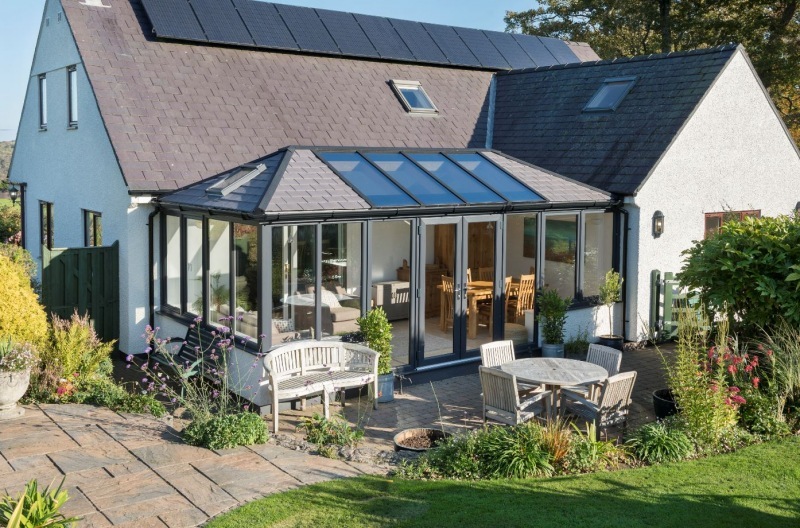 We’ve recently updated our consumer brochure to show just that, greater choice and options, something we believe will be critical this year for the solid roof market. It’s also supported by a trade brochure, POS materials, showroom samples, tile samples etc as a complete WARMroof marketing programme. The solid roof area of the market has developed quickly, we now have the ability for our sector to target the single storey extension market and to introduce the very latest off-site manufacturing techniques has launched installers into a world of new opportunities. Our industry is well positioned to take advantage of the new market, this will provide consumers with the opportunity for a project to be completed in less than half the time of a traditional build, with minimum disruption, yet with key design features. The solid roof market is an important and influential part of the home improvement sector and we’re now introducing the latest off-site manufacturing techniques from the construction sector. 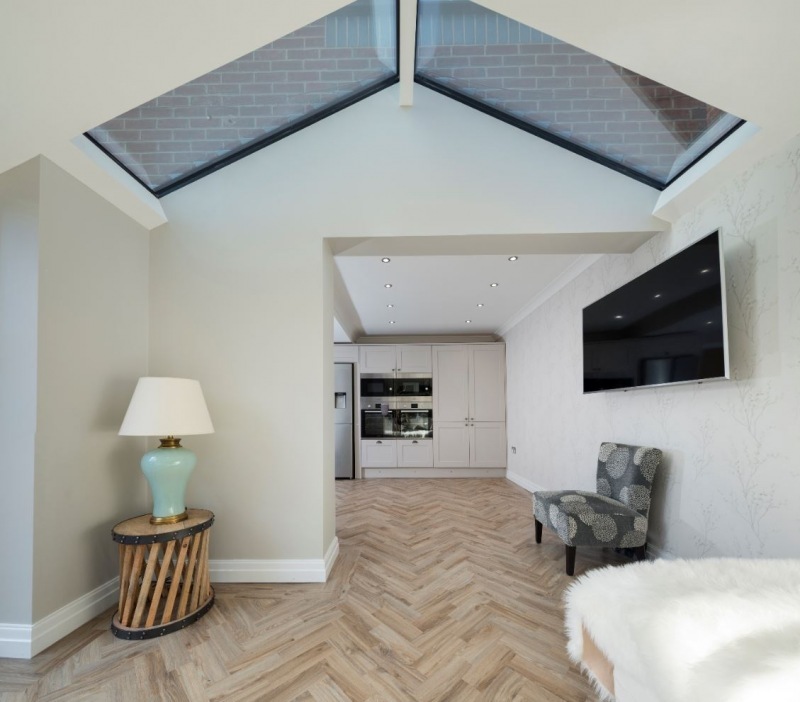 With product development including hybrid options and better insulation we can now compete head on with the traditional builder’s single storey extension market. We can also inspire homeowners with stunning photography and beautifully created marketing, so they’ve got greater confidence in the project, construction techniques and for a solution that’s as permanent and lasting as the main fabric of the home.